Pastor Bill Shutt leads this group every Wednesday at 6:30 pm at the home of one of our members. This Life Group will end for the summer on May 11th. 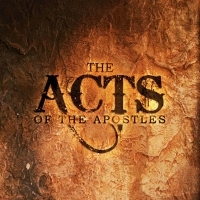 This study takes a look at the Acts of Jesus after His ascension. Written by the same author as the Gospel of Luke, this second volume follows the first century church and its growth throughout the Mediterranean region, particularly following the ministries of the Apostles Peter and Paul. As we follow the expansion of the Gospel in the first century, we will learn principles and lessons of faith that are just as relevent to the followers of Jesus today. For more information or to join this Life Group email Pastor Bill.